The shading looks really nice! I think you need a little more spec. Put it on a plane so we can see how you envisioned it standing up. And yeah, more spec. The shader looks nice in that picture. But I cannot decide on the color. 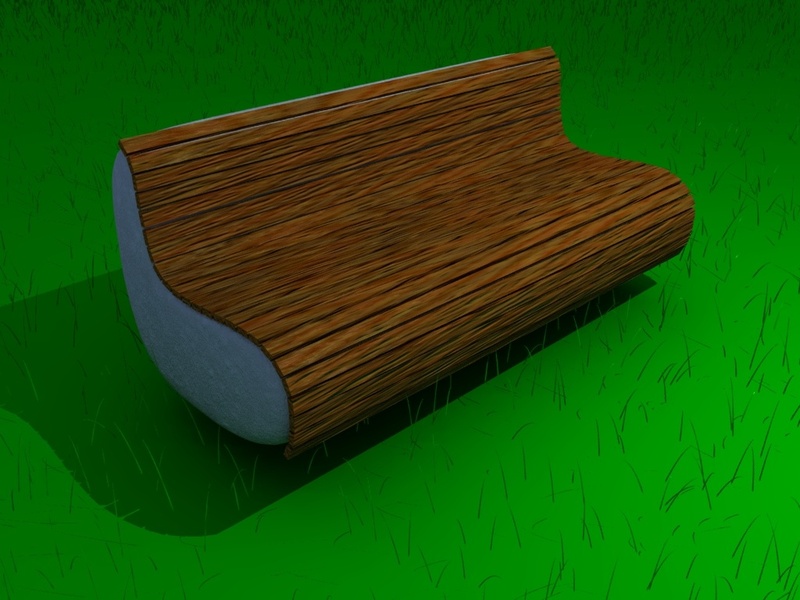 Add some wood texture and bump map and it will be better. But definitely you need better scene, even for quick material previews. It is hard to improve material, if the background is plain default blender blue ™. Benches are usually outside, so make a simple sun setup (a sun and a hemi lamp will be enought). Most important, change the background to something more natural than blender blue. This will help to tweak the material, because human brain percieves colors in different combination differently. Yeah, if you have a picture of the outdoors on your computer, just slap that down as the background for right now, just to get the material correct. 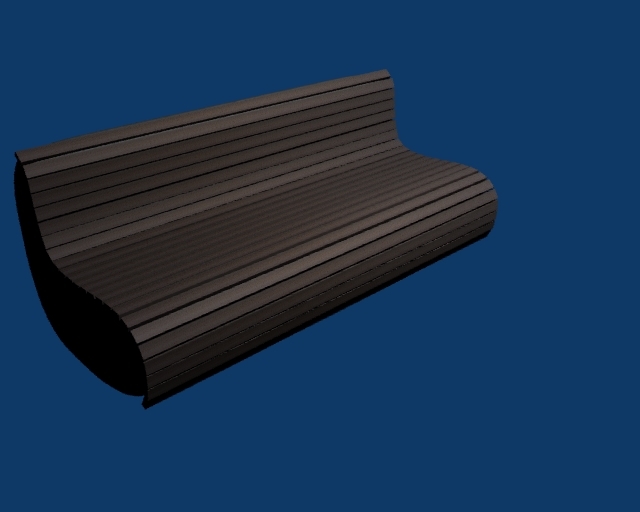 Then, when you decide to put this bench in another scene, the material will already be correct. 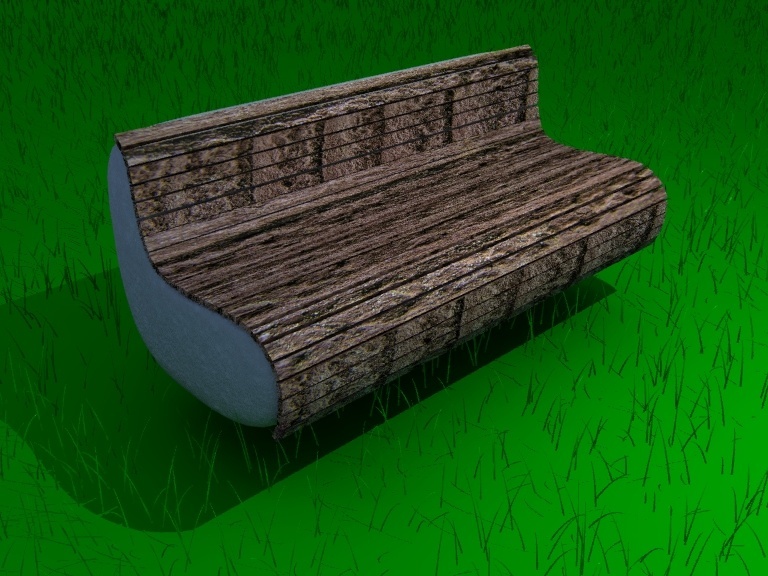 UV mapping gives most control, so try it out.